Consolidated Credit offers transparent pricing and company information. The company is available in all states and is great for credit card debt. Most consolidation companies do not reveal their interest rates online or over the phone until they know you are interested. While Consolidated Credit does not display their interest rates online, they told us they could get interest rates down to 6 to 10 percent on each credit card. This is just one of many ways that Consolidated Credit is more transparent than other debt management companies in the industry. Almost everyone who leaves a review of their experience with Consolidated Credit is overly appreciative of the courteous and knowledgeable credit counselors. Many reviewers are also happy with the time it takes to pay off their debts. In most cases, and depending upon how a debt management plan is executed, debt settlement will not negatively impact consumers’ credit scores. Credit reports are based on how the debt settlement is reported to creditors. Compared to other debt consolidation companies, Consolidated Credit has a slightly higher up-front origination fee – $69. Of the companies we reviewed that give out up-front fees, we found that the average payment is $56. Keep in mind that this is a one-time fee, and is only slightly higher than what other debt consolidation companies are charging. Negative reviews of Consolidated Credit are much more difficult to come by than positive ones. However, some customers said they wish they could have an up-to-date balance of their accounts. One reviewer said she had trouble with the payment due each month. Consolidated Credit is transparent about who runs the company, their prices, and what states they are available in. Finding a debt consolidation company that is up-front about all of this information and more is rare in the consolidation industry. You can find Consolidated Credit reviews at the bottom of this article. One of Consolidated Credit’s certified debt counselors will be able to give you exact pricing for your unique situation without any fees. We recommend working with Consolidated Credit for any credit card debt you find yourself in. Consolidated Credit is a true consolidation company that focuses on combining all credit card debt into one monthly payment at a lower interest rate to help you improve your financial situation. In one customer experience, their debt consolidators were able to help a customer consolidate $50,000 credit card balances into one monthly payment and reduce their interest rates from 29 percent to 6 percent. On top of debt consolidation, Consolidated Credit also offers services with budgeting, credit counseling, financial distress from life events counseling, financial advice, and housing counseling. They have a long, 25-year history, which is more than your average debt settlement company. See below for Consolidated Credit Reviews from consumers. Consolidated Credit has been in business since 1993. Their website states that they have served over 6.5 million customers since opening their doors. Consolidated Credit has several sections on its website devoted to helping consumers understand how to handle their personal finances properly. The credit company provides an FAQ page that answers inquiries about debt settlement programs, credit score repair, loans, fees, and interest rates. Under the “personal finances” tab, you can find an introduction to budgeting, a section on budgeting for college students, and a section on budgeting for kids. Along with these sections, the website also offers advice on preparing financially for major life events. Another section on the website is geared toward helping consumers understand what credit is, how to repair their credit, how to understand credit history, and even a section on helping people who are new to the United States establish credit. The website’s information on buying homes and its glossary of financial terms are also tools Consolidated Credit uses to educate consumers about their personal finances. No they do not offer any money-back guarantees or refunds. Consolidated Credit’s website is mobile friendly and easy to navigate. 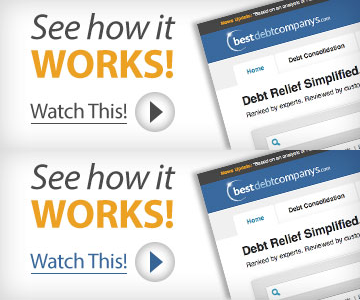 The mobile site clearly displays their contact information, the option for getting a free debt consultation, and a free financial tips section. The mobile site does not include all the same details and features as the desktop computer site, but it has enough options that consumers can easily use their basic services on their phone. They also offer a budgeting app for mobile phones. We love their tools offering. Consolidated Credit offers the following services: debt management, credit counseling, credit card debt advice, and personal financial help. They also have an entire specialized section of services for financial problems associated with housing. The housing services they offer consumers include foreclosure prevention counseling, mortgage payment assistance, reverse mortgage counseling, and homebuyer education and counseling. In addition, they offer online seminars about housing, and the company’s Housing Counseling Team meets with people near Fort Lauderdale, Florida, to provide advice on buying a home. Their website also features a housing and mortgage glossary to help new homeowners or potential home buyers become acquainted with financial definitions. An online dashboard is available for account holders. Customers are given a login and are able to see the status of their account 24/7. Call our recommended rep over at Consolidated Credit below. She was able to cancel the payment and really put my mind at ease. Always helpful and I am treated with respect. Representative was very helpful in assisting with my inquiry and updating my accounts in the program. Easy to understand, quick and super efficient. Told me exactly what i needed to know. Very friendly and will work with you No matter what you have. I love how quick they get back with you. When I call consolidation I spoke to bob and when I finished paying my debt I wanted to make sure I was done and guess who I spoke to bob the personthat signed me up and now he was signing me off. What a pleasant , polite and understanding gentlemen. Thank you Bob and Consolidation for my peace of mind. TATIANA was very helpful and kind. She solved me issue immediately. Tatiana was great!! I was calling as I am nearing the end of my program and she was very helpful! Pleasant to talk to, knew her business, and answered all my questions completely.